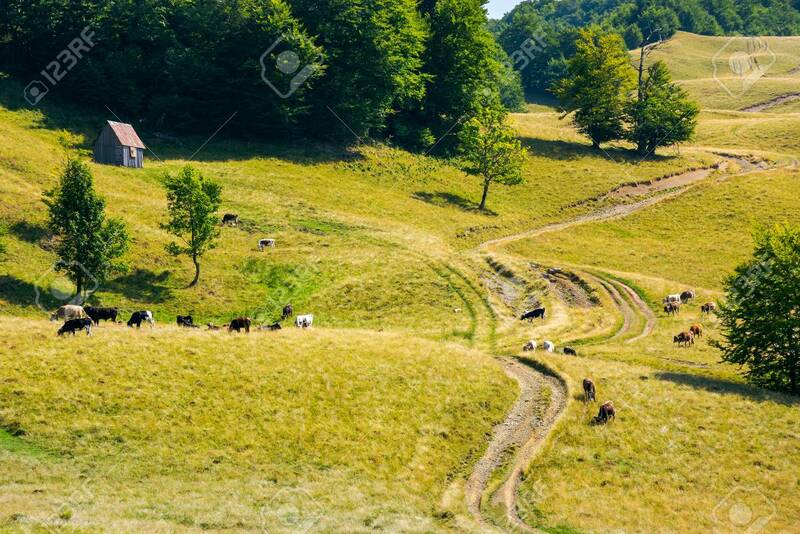 Cattle Of Cow Grazing On A Grassy Pasture. Road Winds Uphill.. Stock Photo, Picture And Royalty Free Image. Image 106208397.